Interested in a career at Anagnos Door? Click Project Manager and submit your resume today! ​people to join our team! ​themselves and in the world. For more information on internships please fill out the contact form below. Tell us a little bit about yourself, and what type of position you would like to apply for. Sales Rep/Construction : This position will manage and increase sales through existing customer base plus deliver 50% of sales through new client acquisition. 3 recent years of B2B experience delivering high volume sales. 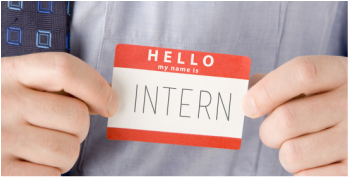 Internships : We offer paid internship opportunities designed to engage the individual in real-life challenges, provide relevant job experience and promote professional development. The construction intern is an entry-level position to assist project managers, salespeople, estimators, and accounting staff with quantity take-offs, schedules, submittals, project reporting, and more. Majoring in Construction management, architectural studies, sales, cost estimating or accounting. Willing to work hard as part of a team. Have experience with computer applications for spreadsheets, word processing, scheduling, and social media.